When a pipe bursts or a leak is discovered, there’s no time to dilly dally. Customers aren’t just annoyed or frustrated when these household disasters occur; they can be downright scared of the consequences to their home or business. That’s why plumbing services need to be in tip top shape when it comes to managing job requests. Plumbing service software will help keep your team on their toes when the call comes, so you can guarantee excellent service every time. The right plumbing software will be an all-in-one hub for your business processes. From scheduling and dispatching technicians and accepting payments in the field, you’ll be able to handle everything with just a few clicks. 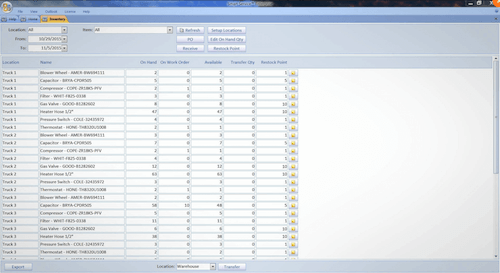 Below, we’ve listed some of the best plumbing service software for your convenience. Please note the following software is for improving your plumbing business operations, rather than estimating job measurements. Learn more about Field Service Software. Plumbing software comes in all shapes and sizes, with plenty of different features across the spectrum. This can make it difficult to choose the right one for your particular business. Fortunately, we’ve done all the heavy lifting for you, so making a decision won’t be too much of a burden. 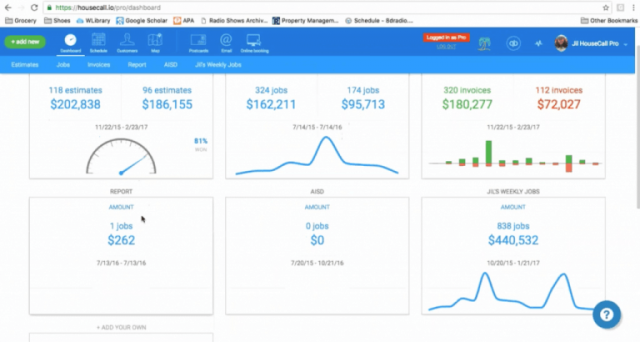 HouseCall Pro is also relatively unique in the field service software industry, as they are one of the few that offers marketing tools along with its software that can help you attract new customers to your business. 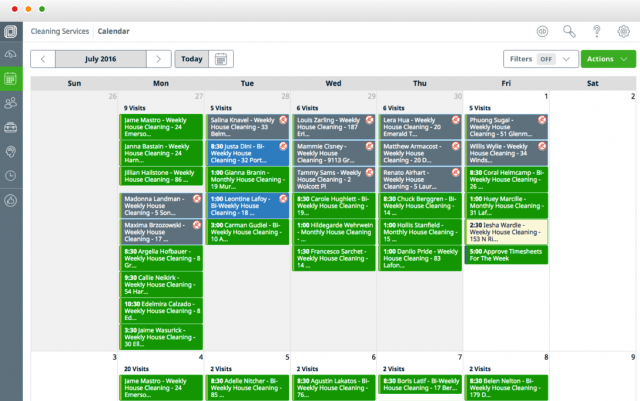 This, combined with its thorough catalog of features, makes HouseCall Pro a bit more expensive than other softwares, but you certainly won’t get a better bang for your buck. This industry-specific software does come with a few caveats though. Reviewers have stated that Knowify can be quite difficult to customize, as the platform is designed for a very precise type of business. If you’re looking to manage your plumbing service with a few unique features, you might want to look elsewhere. Otherwise, Knowify has a pretty impressive catalog of features at a lower price than most other robust softwares. 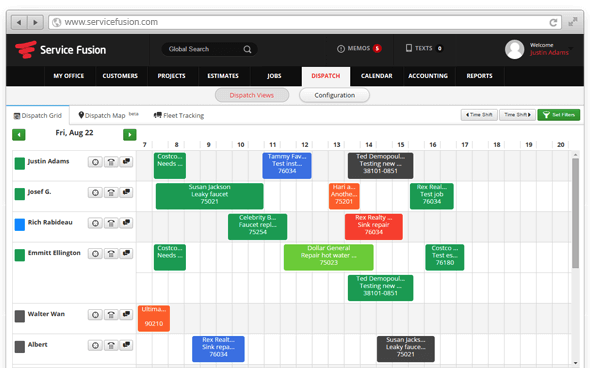 Service Fusion, like HouseCall Pro, can be found on almost every list ranking to the top field service softwares, and for good reason. In addition to its many features and easy-to-use interface, Service Fusion doesn’t force users into lengthy contracts or subject them to hidden fees, so you get what you pay for, nothing more and nothing less. 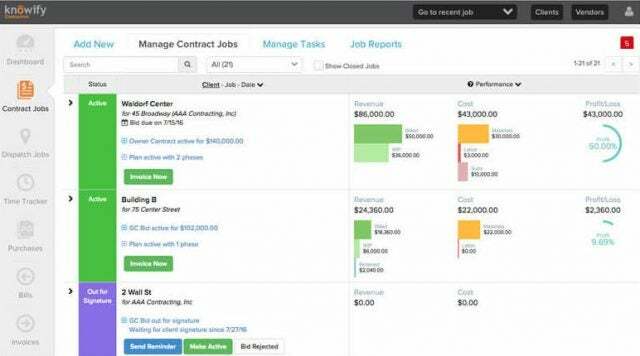 Plus, while unique, HouseCall Pro isn’t the only field service software with marketing capabilities. ServiceTitan also boasts a few marketing tools that will do wonders for repeat and new customer acquisitions. Unfortunately, it’s worth noting that ServiceTitan is missing some key payments features, which might be important to your business, so tread lightly if this is a deal breaker. Jobber is another software you’ll find across a wide range of industries too, mainly due to its affordability and ease of use. If you think Jobber could be the right choice for you, be sure to try out a comprehensive free trial before pulling the trigger. Quickbooks integration is a bit of a double edged sword though. While Smart Service does integrate it into your business seamlessly, users have complained that they went a bit overboard and that an excessive amount of information may be synced with your business software. If you’re interested in this software because of Quickbooks, make sure it does exactly what you need to, before you make a decision. The simplicity and ease of use that come with SimPRO do, however, have a downfall: the software is a bit clunky. While it provides an in-depth index of features, users have stated that SimPro does have a tendency to be a bit excessive with the functionality, which can make it hard to get in a rhythm with the software. Wintac isn’t perfect though. While company experience is always a good trait to have, it’s also important to keep up with modern expectations. Wintac users complain of slow load speeds and poor connectivity, which can be a serious probably for plumbers working in the field. Make sure you’re in an area with solid WiFi and cell reception so you’re employees don’t end up in a dead zone with no way of getting the job done. 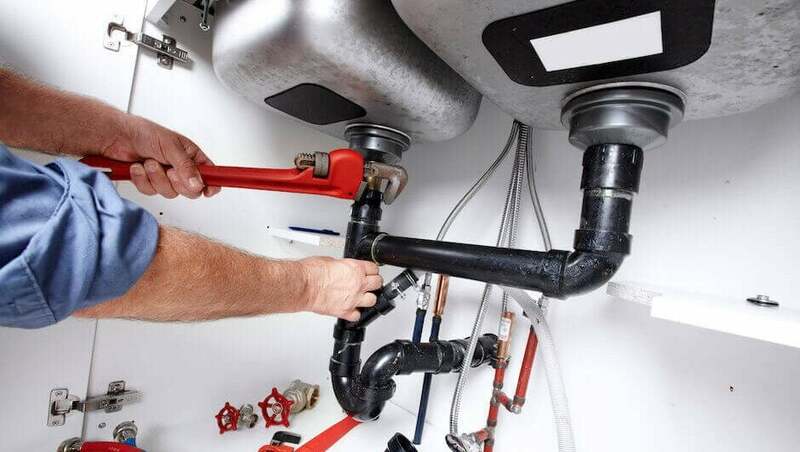 Plumbing software makes running a plumbing business easier by consolidating, automating, and organizing everyday business functions into a single platform. You can manage scheduling, streamline customer support, and facilitating easy payments, improving productivity and efficiency along the way. Some software has also been created for on-the-job plumbing measurements and assistance, but this is rarer and not commonly what is meant by “plumbing software”, including on Tech.co. What are the top plumbing software features? By consolidating and automating these work functions, plumbing software can provide a number of helpful benefits to your business. For one, you’ll save time on a daily basis not having to worry about all the nitty gritty details on your own. Secondly, you’ll increase the accuracy of time sheets, appointments, inventory, and anything else being tracked by the software. Finally, you’ll improve overall productivity by cutting back on double data entry, double bookings, inventory mix ups, and routing redundancies. Does plumbing software come with a mobile app? More often than not, yes! A lot of plumbing software suppliers will provide users with a mobile app that can manage most, if not all of your business needs. You’ll be able to manage your whole business while on-the-go, and your employees will be in touch with you, even when they’re out in the field. Are plumbing software apps available for Android or iOS? Both! If a plumbing service provider has a mobile app, in most cases, you’ll have access to it on either operating system. However, this isn’t the case for all providers, so make sure to check out each specific brand before making a decision. 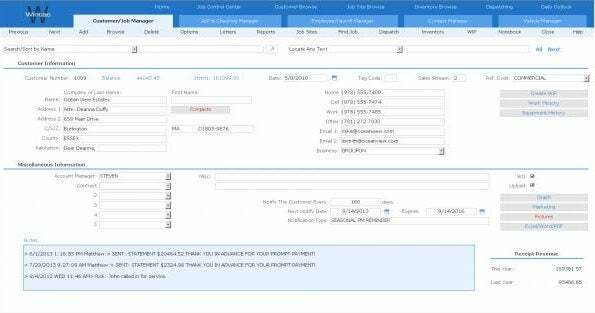 Can plumbing software integrate with Quickbooks? Usually yes! 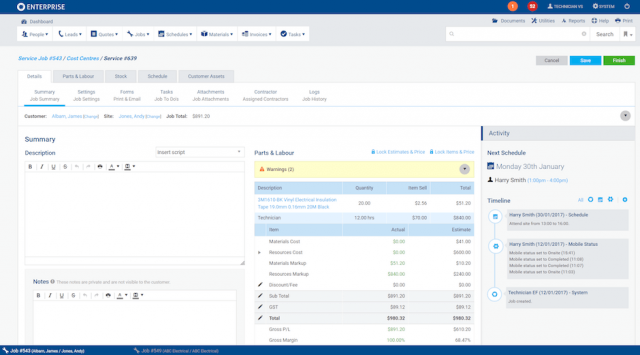 A lot of plumbing software providers will make their platforms compatible with Quickbooks, making it incredibly easy to manage finances from one location. However, like Android or iOS mobile apps, each brand is different, so do a little research to make sure your desired provider has what you need before pulling the trigger. Now that you know about some of the best plumbing service software out there, it’s time to make a decision. The reviews above will help you narrow down your options, based on what’s important to you. But you’re missing one piece of the puzzle: how much is it going to cost your company? Fortunately, you can get a customized quote today. With just a few simple clicks you’ll be on your way to a more efficient, more productive, and more successful plumbing business.